As a young teen, James C. Chambers became director of the Radio Choir and later organized the youth choir at the Haven of Rest M.B. Church. Church, however, was not the only place where his gift was realized. In 1971, under the guidance of his music instructor at CVS, he crossed denomination barriers and organized the Ecclesiastes Community Choir. This choir was nourished by James and the Lord for more than 20 years, and Ecclesiastes Community Choir flourished into one of the country's finest singing aggregations. In July 1988, James' greatest vision became reality when the Ecclesiastes Community Choir Music Workshop commenced at the Adult Continuing Education Department of Kennedy King College. Its purpose was to enhance the performance quality and music administration of gospel music and to unite this city's choirs, community organizations, musicians, songwriters, and soloists. During that first workshop in 1988, James founded the Chicago Mass Choir. In 1991 Chicago Mass was nominated in five categories for the Gospel Music Excellence awards and was name Best New Artist. In 1992, the Chicago Mass recording "I Can Go to the Rock" was winner of Song of the Year. In 1994, the Ecclesiastes Community Choir Music Workshop/Chicago Mass Choir torch was passed to Dr. Feranda Williamson, who had been a founding member and featured soloist of the Ecclesiastes Community Choir, and a longtime colleague and close friend of the group's beloved founder. 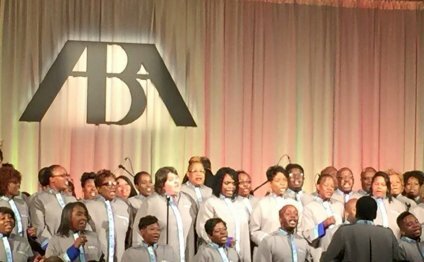 Since that time, Dr. Williamson has led the group to record 10 albums, take multiple European tours, perform at the American Bar Association's annual meeting featuring Attorney General Loretta Lynch as well as appear on television programming as diverse as Bobby Jones Gospel, singing with Elmo on PBS and singing the National Anthem at a Chicago Bulls game.